I’d been confused by various problem when using Vuforia with Unity, to develop AR app for iOS device. Here’s how to solve ’em! 1. App crashes when using Unity (4.5.4, 4.5.5, 4.6) ＋ Vuforia 3.0.9. After building Xcode files, open it, you’ll need to modify the Info.plist. Click Informaition Property List,there on the right appear a Plus icon, click it. 2. Black screen without camera background when using Unity 5 + Vuforia 4. On the Other Setting session of PlayerSetting, switch the Graphics API to Open GL ES 2.0. 3. 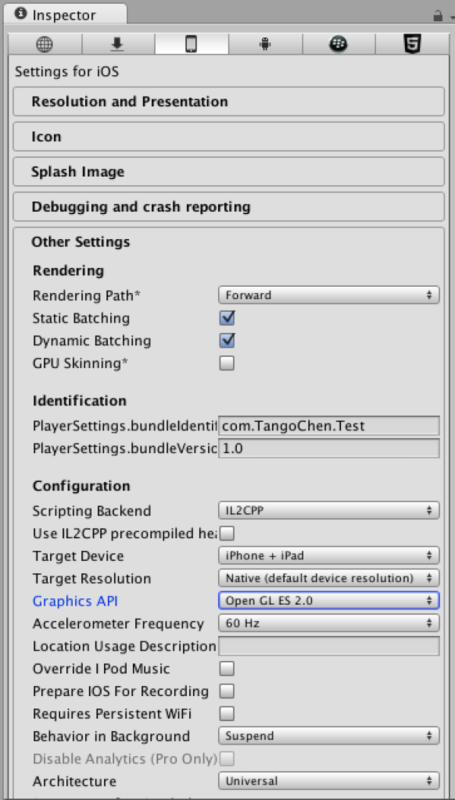 Getting “CodeSign Failed”, cannot export IPA file from Xcode project built by Unity 5 + Vuforia 4. Run Terminal app on Mac. 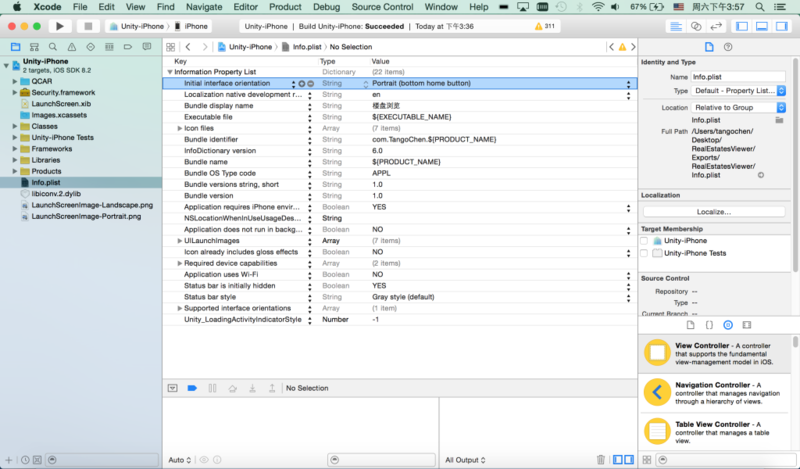 Go into the Xcode project directory by using cd. We’ll build the IPA with Terminal using various commands. * If your project name isn’t Unity-iPhone, change it to yours. Then, we’ll get an IPA file called MyIPA.ipa in the project directory. Some say the solution above somehow does not work well while installing, and the exported ipa cannot be uploaded to App Store. For a better solution, please read the solution by AlessandroB. This entry was posted in Augmented Reality, Tech. Bookmark the permalink. Excuse me. I meet the same issue as the 3rd one. I can export IPA with terminal command. However, after I uploaded the IPA to AppStore, I was told the signature is invalid by apple. I have chosen the correct code signing identity in xCode Project. Can you give me some advice? Thanks! Just download the latest Vuforia SDK. TangoChen: Thanks of your help on this… I was really stuck on the coding issue with Vuforia. I was able to create my adHoc version in this manner. What do you do to submit it with apple if you get this error? Hi Ron, are you using the latest version of Vuforia plugin and Unity 5? You can try using the latest ones if not. The solution here for CodeSign Failed can only be used to export ipa files but not make it available for uploading to App Store. I haven’t done some AR developments for a while and didn’t try submitting it to App Store so sorry that I can’t provide more information. When I got various issues that seem unsolvable I just wait for official updates so again I recommend you to use latest Vuforia and that should be solved. I have developed an AR app for iOS using Vuforia, but confused how to upload it on Apple app store. Please anybody give me any solutions. Can i submit my app to app store using Vuforia?